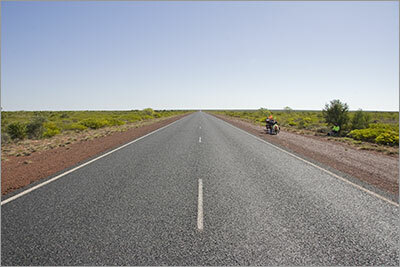 It took us just over 70 minutes to ride out to the highway this morning and there was a lot less traffic than when we rode in so the dust was very minimal. 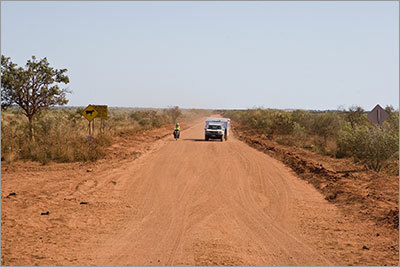 The scrub between 80 Mile and Pardoo is low, offering very limited shade, so our stops today were shorter than normal. 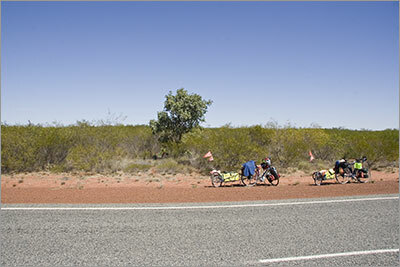 Not long after we had rejoined the highway we met Frederick from Belgium who did a u-turn to have a chat with us. He was riding a 1969 Moto Guzzi motorbike around the world. He had ridden through Europe to India and Nepal before flying his bike over Burma to Thailand. 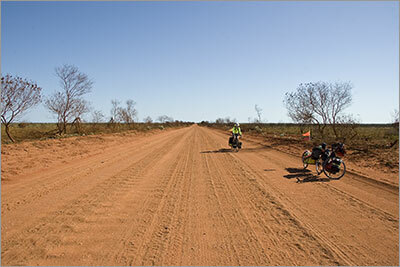 He then rode through Cambodia and Vietnam before heading for Singapore where he put his Moto Guzzi on a plane to Perth. He was very impressed with the fact that it cost him $3000 to fly his bike whilst his ticket only cost $290. 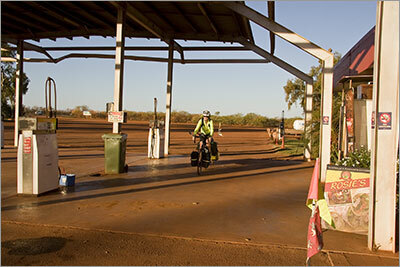 He was riding to Cairns via the Plenty Highway where he was going to fly his bike to the USA. He told us he did a lot of travelling by working hard for 2 years as a truck driver and then taking time off to do a big trip. To date his travels have been on a motorbikes but he thinks his next trip will be with Toyota troop carrier. We had lunch under this small tree. Denise is still sitting there. Where have all the corners gone?